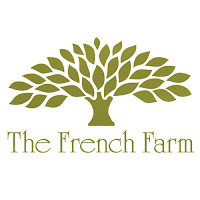 My first post is sponsored by the wonderful people at The French Farm. 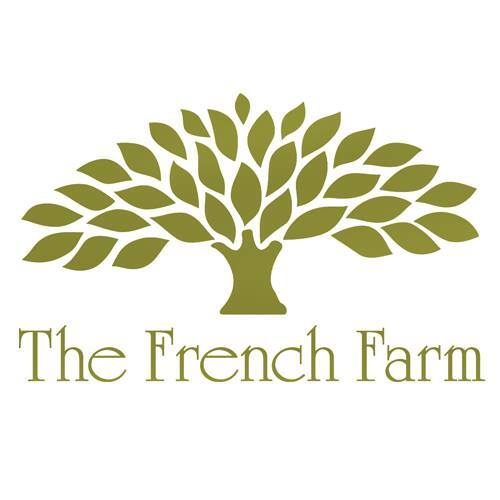 The French Farm brings the taste of Europe to the US by importing gourmet foods from small, family-owned businesses. 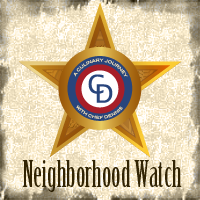 Check them out below on social media! The French Farm sent me Balsamic Vinegar and Capers. 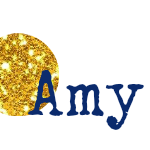 I decided that the two were a perfect match, so I tossed them together in an amazing vinaigrette for asparagus! 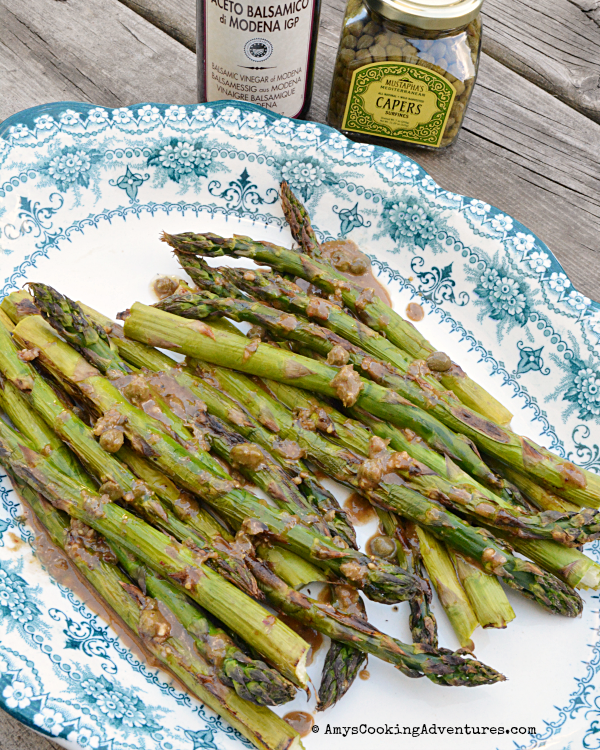 Grilled asparagus is the perfect side dish for any BBQ! Spray a grill-safe cooking grate with non-stick spray. Place the asparagus on top and place on indirect heat on a grill heated to medium heat. Cook the asparagus for about 10 minutes, or until tender and slightly charred, turning a few times during cooking. Meanwhile, place the oil, vinegar, salt, mustard, garlic, and pepper in a small blender and pulse until combined. Add the capers and pulse one additional time to coarsely chop. 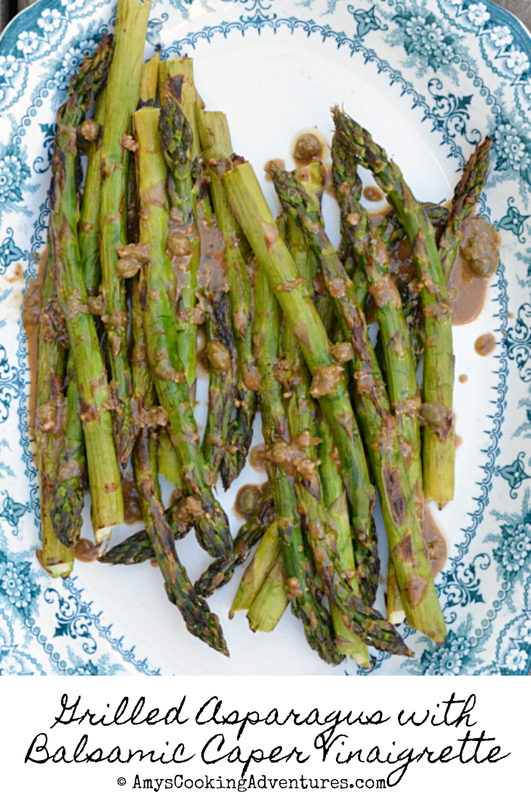 Once the asparagus is done cooking, place it on a platter and drizzle with vinaigrette and serve. Spray a grill-safe cooking grate with non-stick spray. Place the asparagus on top and place on indirect heat on a grill heated to medium heat. Cook the asparagus for about 10 minutes, or until tender and slightly charred, turning a few times during cooking.Meanwhile, place the oil, vinegar, salt, mustard, garlic, and pepper in a small blender and pulse until combined. Add the capers and pulse one additional time to coarsely chop. 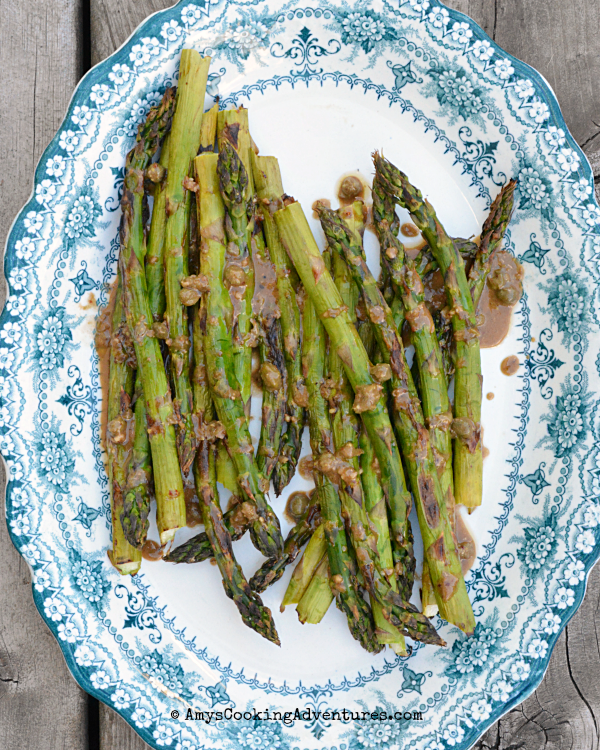 Once the asparagus is done cooking, place it on a platter and drizzle with vinaigrette and serve. Everything's better on the grill in summertime =) Looks great! 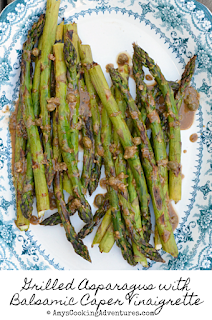 I love roasting asparagus but have yet to try them on the grill, yum!